For over a century, we’ve accepted the scientific consensus that cancer results from genetic disease due to chromosomal damage in cell nuclei. But what if cancer isn’t a genetic disease after all? What if scientists are chasing a flawed paradigm, and cancer isn’t a disease of damaged DNA but rather of defective metabolism as a result of mitochondrial dysfunction? What if that startling truth could revolutionize our understanding of other diseases as well—and show us a radical new path to optimal health? In this groundbreaking guide, the first of its kind, New York Times best-selling author and leading natural-health practitioner Joseph Mercola explains how nearly all disease is caused by defective metabolic processes. Then he reveals what’s really causing your metabolism to go haywire: damage and dysfunction in the mitochondria, thousands of which are at work in nearly every cell in your body, generating 90 percent of the energy you need to stay alive and well. When mitochondria become damaged in large numbers, it is impossible to stay healthy. 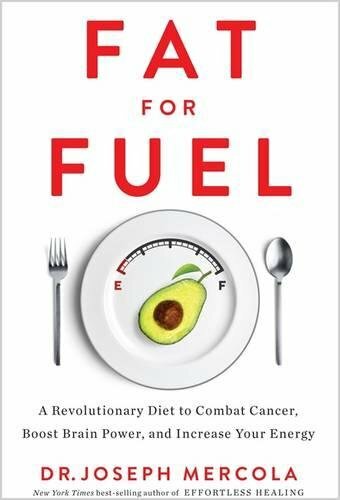 Dr. Mercola shows you that you can take control of your health simply by giving your body the proper fuel—and it’s not what you’ve likely been led to believe. A ketogenic diet, very low in carbohydrates and high in healthy fats, is the way to optimize the biochemical pathways that suppress disease and support healing. And the benefits can be astonishing—not only in treating or preventing serious illness, but in boosting your brainpower, increasing your energy, helping you lose weight and keep it off, and much more. As you read this book, you’ll learn in clear, rational terms how your body works at a molecular level. You’ll finally understand the type of fuel it’s designed to burn in the most efficient way possible. You’ll find detailed guidelines for starting and sticking with a ketogenic eating plan. And you won’t have to wait a decade or two for metabolic mitochondrial therapy to make its way into the mainstream. You can build a healthier body and brain at the cutting edge of this exciting new discipline, starting right now.